Troubleshooting > Site Connection > How do I remove my site? How do I remove my site? 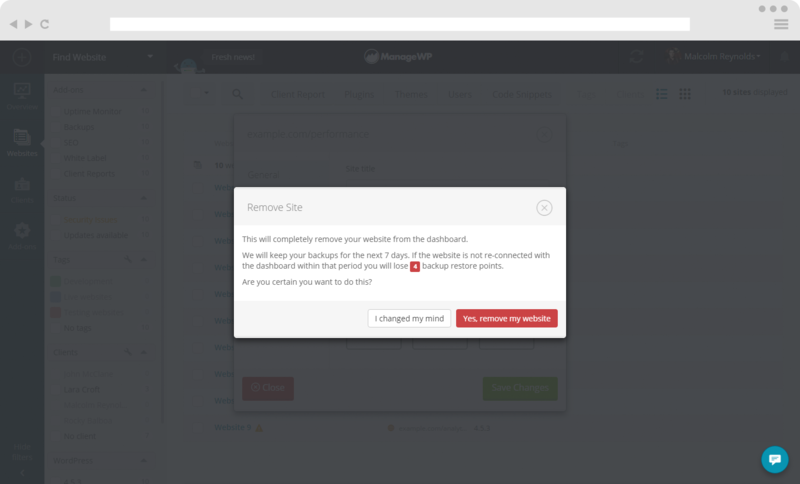 You can easily remove a website from your ManageWP dashboard by hovering over the website and clicking on Site Options (Wrench button). Under Site Options click the Remove button. You will be prompted with the question if you changed your mind or do you really want to remove your site. Click Yes, remove my website button in order to finish the process.